Only 8 days are left for the public to send their comments (for the 4th time now!!) on EDDC’s latest revised Plans for Knowle. (For details, see 17 Jan post on this website, or Diary Dates at http://sidmouthindependentnews.wordpress.com or EDDC website). EDDC seek to damage the image of Sidmouth as a tourism destination. A most attractive aspect of Sidmouth is the way in which the townscape respectfully engages with its spectacular natural setting. Previous custodians have cherished the resort treasuring the fine balance of buildings and landscape trying to conserve it for the delight of future generations. It is a major reason why the SVA has been fighting for over 160 years or so to protect our green and pleasant land. Its green wedges have purposefully been established to preserve this harmonious co-existence between the man made and nature. Some of the wedges follow the valleys and streams creating ancient ecological corridors for creatures and plants to pass through and spread. EDDC plans, to eradicate fauna and concrete the green wedge linking the Knowle Park to AONB land at the Manor ,will choke an important eco-corridor leading to the heart of the resort. 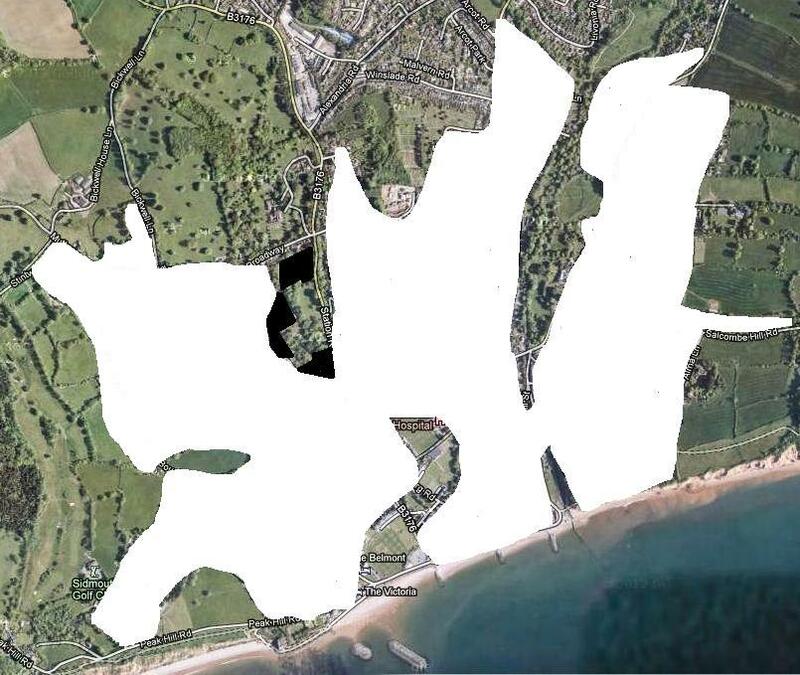 Ignoring the wisdom of their forefathers the self-serving EDDC cabinet members (none of whom have a ward in Sidmouth) seek to despoil Sid Vale and destroy its fragile biodiversity.